12.12.2018: The 2019 Trek-Segafredo men’s and women’s teams have gathered in Sicily for their annual December training camp, this year held at the I Monasteri Golf & SPA Resort, a member of Trek-Segafredo’s partner JSH hotels and resorts. 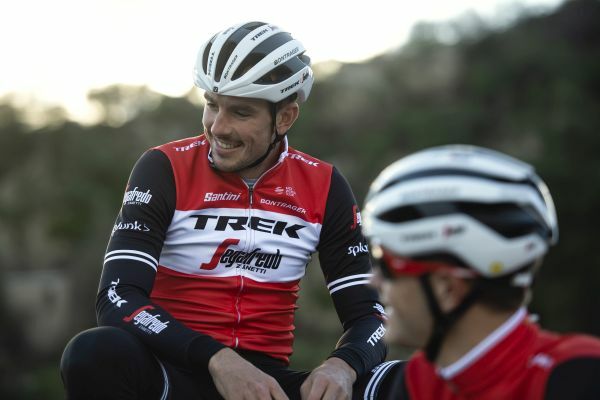 The 2019 Trek-Segafredo men’s and women’s teams have gathered in Sicily for their annual December training camp, this year held at the I Monasteri Golf & SPA Resort, a member of Trek-Segafredo’s partner JSH hotels and resorts. The men’s roster is comprised of 25 riders, a mix of experience and youth, with new signing Richie Porte headlining the team. There will be 19 returning riders from 2018 and five new faces, plus the reappearance of Edward Theuns after a year with Team Sunweb. The new Trek-Segafredo women’s squad enters its maiden year and will number 13 women from 10 nationalities. The team will be highlighted by the return of the 2015 World Champion Lizzie Deignan, who is back after taking the 2018 season off to give birth to her baby daughter, born in September. Both the men’s and women’s teams will begin the 2019 season at the Tour Down Under in January.